This fun beading technique reminds me of the long spiraling sea shells you can find on the beach! 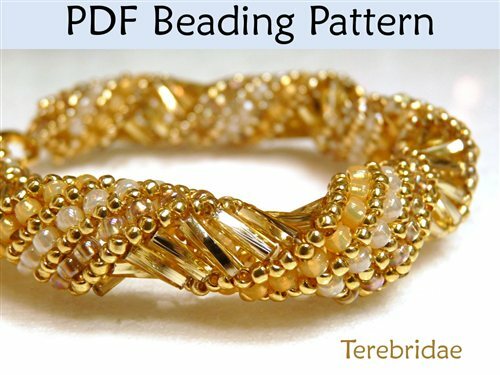 Using the Russian spiral stitch, you can quickly and easily create your own stunning beaded necklace or bracelet! With over 35 high resolution full color photos and easy to follow step by step directions, you will be able to bring the beach to your wardrobe this summer! Happy beading!